Florida championship coaches, Roy Harrison and Tony Ryan, were two finalists selected from over 1,000 nominations nationwide in the Positive Coaching Alliance's (PCA) 2019 Double-Goal Coach Award. Harrison and Ryan have been in the coaching scene in the state of Florida for decades and their impact on the sport and the state has been nothing short of elite. They also happen to be the two coaches in the state who hold the most team cross country state titles. Harrison, Plant High School's girls cross country head coach, has served the school for over 35 years. Back in 2016, Harrison announced his retirement...kind of. He stepped down from teaching, but has continued building up young athletes in the public school system like he has for nearly 40 years. 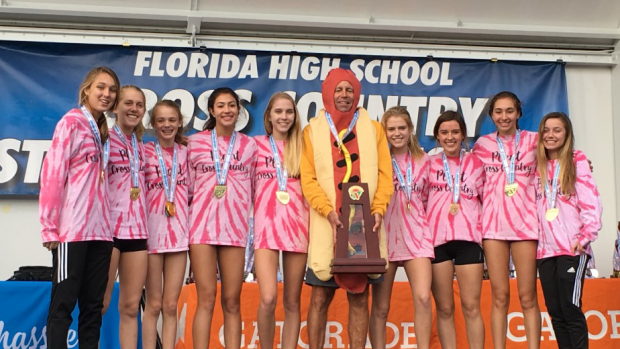 In this past 2018 cross country season, Harrison won his eleventh team state title -- the most any coach has one for a single school in the state of Florida. Ryan, Bolles girls cross country head coach, has served Bolles for 16 years with six years prior at Bishop Kenny. In his time at Bolles, Ryan has taken young athletes and transformed their hard work and talent into something very special. Recent Bolles graduate and Ryan's former athlete, Caitlin Collier, will go down in Florida history as one of the best high school distance runners. This past cross country season, Ryan earned his seventh title at Bolles and 11th overall in his career. In the coming weeks, judges will select 50 National Winners from the finalists list who will receive a $200 check as well as an invitation to accept the honor at PCA's National Youth Sports Awards and Benefit.